The Stadium of Light is a 15-minute walk away from the city centre and Sunderland train station. Many buses serve the stadium from the stadium and the city centre. The station is located at Athenaeum Street, Sunderland SR1 3HP; 20 mins’ walk. 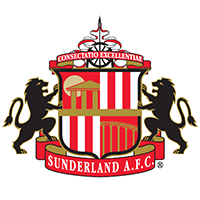 Directions to the ground: when using the Tyne and Wear Metro service to travel to the match, you will have the choice of arriving at either St. Peter's, or the Stadium of Light Metro stations. When you leave after the match, supporters travelling southbound towards South Hylton (and Sunderland train station) must board at St. Peter's. Supporters heading northbound towards Newcastle must board at the Stadium of Light station. Routes 2, 3, 4, 12, 13, 15 and 16 all stop within a few minutes’ walk of the Stadium of Light. The main bus routes across Wearside connect at Sunderland's bus station, Park Lane Interchange, which is also within easy walking distance of the stadium. The stadium is located just north of the city centre, across the River Wear. The A183 and A1018 run from the west and east respectively, meeting in the middle of the city centre before converging and running up to the stadium as North Bridge Street. The Stadium of Light sits on the banks of the River Wear, just northwest of the Wearmouth Bridge. A number of A-roads converge outside the stadium; the A1290 from the west, A1018 from the North and East, and North Bridge Street from the city centre in the south. There are residential parking schemes in the area around the stadium, so supporters are advised to use car parks at St. Mary’s, Sunniside and The Bridges. 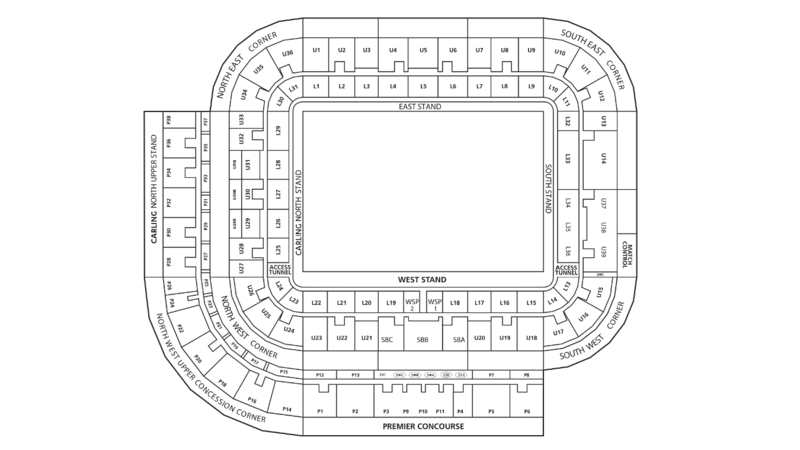 All are just a short walk to the stadium, and parking charges apply on matchdays. Please see the Where To section for more suitable locations to leave your vehicle. Alternatively, the Park and Ride scheme runs from the Sunderland Enterprise Park on Wessington Way, which is easily accessible from the A19 and is clearly signposted ‘Park and Ride’. Pick-up and set-down points on the Enterprise Park are clearly marked. Another option is the Park and Walk scheme that operates from two sites at the University of Sunderland City Campus on the A183, Chester Road and St. Peter’s. Both are clearly signposted. Follow the signs for ‘Match Day Parking’. It is a 5-10 minute walk from the stadium. Sunderland first played at the Stadium of Light in the 1997/98 season. The venue stands on the banks of the River Wear, a few hundred yards from Sunderland’s former home, Roker Park, and close to the city centre. The stadium was built on the site of the old Wearmouth Colliery and a large red colliery wheel and giant miner's lamp both serve as fitting tributes to the town's rich heritage and connection to the coal mining industry.